Partly cloudy skies. High near 65F. 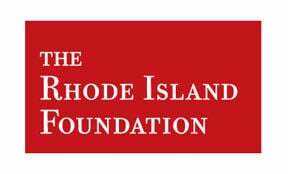 Winds W at 10 to 15 mph..
PROVIDENCE — The Rhode Island Foundation is currently accepting applications for scholarships from local students. Dozens of individual, family, corporate and organizational donors established scholarship funds at the foundation to help students defray educational expenses such as tuition, room and board, fees and books. In addition to general scholarship assistance, some scholarships target specific geographic areas, including Westerly, Charlestown, Hopkinton and Richmond. The James J. Longolucco Scholarship, Harry Itchkawich Memorial Scholarship, David Tarnapol Scholarship, Westerly Lions Club Scholarship and Anthony Serio Scholarship are available to graduates of Westerly High School. The Paul Lynch Scholarship Fund and Westerly College Club/ Lois Hamilton Fontaine Scholarship are available to residents of Charlestown, Hopkinton, Richmond or Westerly. Scholarships for residents of Charlestown, Hopkinton or Richmond include the George Clark and Vera Clark Scholarship and the Roger Chapman Scholarship. The foundation also offers assistance based on major or family history. The Edward and Virginia Routhier Fund targets nursing majors while the Melvin and Patty Alperin First Generation Scholarship is earmarked for high school seniors who are the first in their family to go to college. For more information or to apply for a scholarship, visit rifoundation.org.